In charge of placing executive and middle class personnel for Professional Service, Manufacturing, Consumer goods, retails, IT/Internet industry. Mr.Tasaki started his career with major manufacturing and gained wide experience in sales & marketing, new business planning mainly targeting mass media in 6 years. Later, he joined a Information Service Company and engaged in career support for medium to large sized companies. Having joining MRI in 2007, has extensive experience in successful placements; Executives for Consulting firms, CxO for Consumer Products companies, Corporate planning for Manufacturing Companies, HR executives for retail companies, and recruitment projects with confidentiality. Consumer goods/retails, IT/Internet industry, and head of placement for middle to executive class personnel in Finance. 10 years’ experience working at a domestic consulting firm, during which time he assumed the role of consultant after being engaged in sales at Tokyo, Osaka etc. Mr. Iijima has extensive experience in the organization/personnel consulting business including business reform, sales reform, personnel system construction, and internal training etc. He joined MRI in 2005 and has been a valuable addition to our team, with deep experience in executing searches for the right candidates under confidential circumstances, including country managers and department heads etc. in Foreign-affiliated Companies. Head of health care, manufacturer industry and distribution industry field. Senior level (CXO class) or higher. Ms. Yoneyama originated from a Foreign Executive Search Company, and has substantial experience in projects within the high-tech industry. She joined MRI as a personnel and general affairs director for a venture development company that sprung from a foreign internet company. Now she engages in securing major executives for startups aiming to IPO, funded by foreign-owned technology interests, and is also engaged in securing major executives for MRI as well as clients. With experience employing more than 40 people she is a valuable asset to the team. Joined the company in year of 2004. Oversees placement of cross boarder personnel in the executive layer across various industries. Originally worked in the international division of a Major Temporary Placement Company for 20 years, and has worked in Singapore, Hong Kong and Los Angeles. Since 2004 he started his own recruitment and human resource consulting firm in California, USA, aimed at Japanese companies looking to make inroads within the US. His specialties cover a broad range of industries, from manufacturing to finance. As of 2016, Mr. Arai joined MRI and has experience placing individuals in European and North American positions that require confidentiality. Mainly in charge of cross border cases involving the IT/ internet industry. Worked at a Major Japanese Automobile Manufacturer in China as a translator and interpreter, as well as providing translation services while employed at the Consulate General of Japan. Mr. Yang then joined a comprehensive human resource business company where he was placed in charge of sales and promotion, recruitment planning, and planning recruitment strategies etc. He joined MRI in 2012, and has been a strong asset to the team with his multilingual capabilities, which has proved especially useful when dealing with countries where English and Chinese communication is required. He excels at placing personnel directly at the headquarters of various clients in different countries. In charge of placing personnel in high-level positions mainly in Asia, within the automobile, food, manufacturer and service industries. Started her career as a recruiter/coordinator at a listed personnel related company. 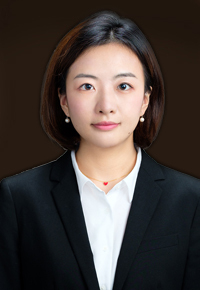 After joining MRI in 2004, she focuses on manufacturing industry mainly with automobile companies. Consultant firm and corporate planner position. Started her career as corporate sales at a manufacturing company, and gained extensive experience in solution service including accounting, shareholder correspondences, IR activities and IPO support. Later, she joined a marketing company as sales planning. After joining MRI in 2017, she focuses on approaching corporate planning related candidates for consulting firms, investment funds, and consumer goods companies. Sourcing global talents into the areas of Manufacturing, IT/Internet, and Investment Banking. After arriving in Japan in 2009, Yurui graduated a Japanese University in Kyushu, and started her career being involved in an overseas expansion of a major retailer, as well as sales at a major real estate enterprise. She then joined a major Chinese human resources company, where she has completed successful placements for the manufacturing and IT/Internet industries. Yurui joined MRI in 2018, and focuses on manufacturing, IT/Internet and investment banking industries.